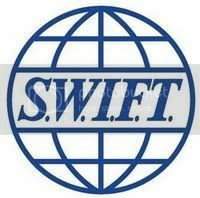 Do you know what is bank swift code? It is the unique identification code of a particular bank. These codes are used when sending money between banks via wire transfers. Recently, I have a business deal with a client from New Zealand who sending his credit to my bank account via this technique. In the other words, bank swift code is very useful for those who are sending their credit/money from outside Malaysia to our local bank through bank-to-bank transfer. So, if you are outside Malaysia, you need to know all these Malaysian bank swift codes in order for you to enter your bank swift code to send payment. This can save the bother of asking the bank officer and finding out from some officers who may not know what is bank swift code. This entry was posted on Sunday, August 23rd, 2009 at 8:22 am	and is filed under Bank & Investment, Finance Tips. You can follow any responses to this entry through the RSS 2.0 feed. You can leave a response, or trackback from your own site. Yeah the list of SWIFTCODE is useful. ya, thanks … I always have to search for it … great list ! keep it always up at the right bar perhaps ? This is certainly useful stuff…. will tag it! thanks for the list. very usefull.